Originally from Germany. 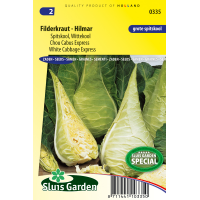 Produces heavy, very pointed cabbages of up to 5 kg in weight. Attractive, compact heads with a fine structure, full of flavour and wonderfully tender. 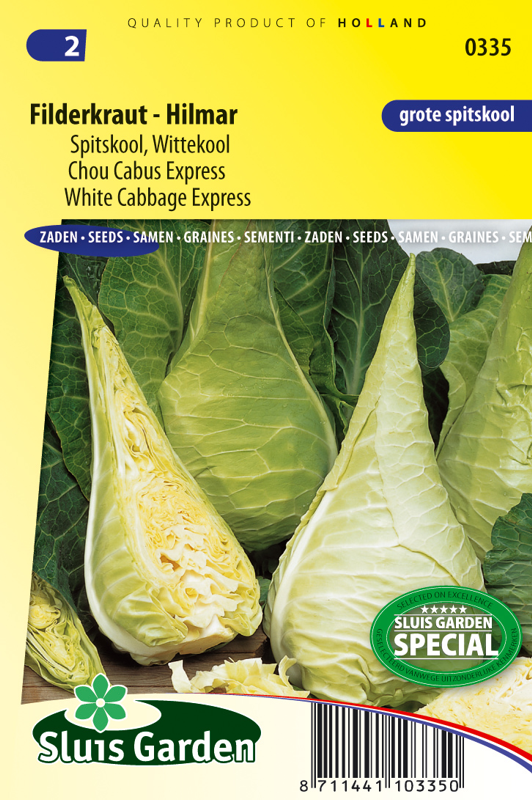 White cabbage is particularly full of minerals and vitamins B and C. Sow in a greenhouse or outside in soil blocks of 5 cm. Transplant from April to June in well worked and lightly fertilized soil. Harvest before the cabbage cracks. Cultivate each year in a different spot. Use anti-insect nets to protect young plants against cabbage midge.